A DUEL in the water! Open water swimmers at the Mystic Marauders Triathlon in Winchester, MA. 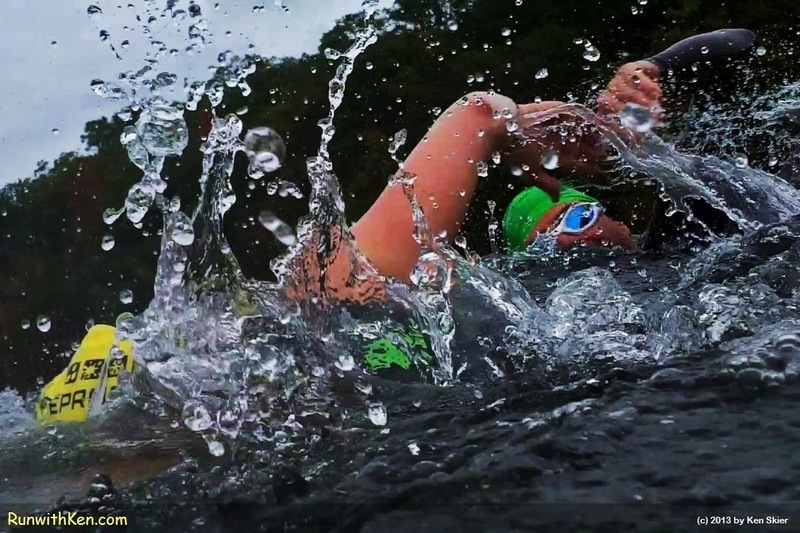 Is there anything more dramatic than the open water swim in a triathlon? I took this photo as I was swimming. These two swimmers were next to me. The Mystic Marauders is an group of triathletes who swim, bike and run together. The Mystic Marauders Triathlon is the group's informal end-of-season race.